I must say other than my long time admiration for Scully and Mulder on the X-files, I am not a big movie goer. But once and a while I come across something that interests me. 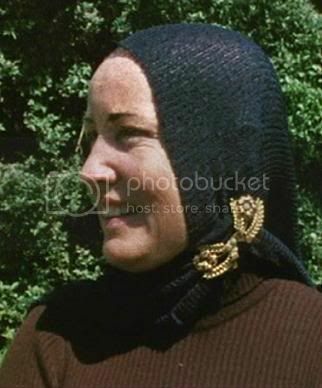 I just saw Grey Gardens, film (2009) and documentary (1975). Both just blew me away. I am really not a fan of Drew Barrymore but she played Little Eddie so well. Bravo! The end of the film had me crying, the thought that Little Eddie wasted her whole life in that house, her whole life! And during those 30 years, didn't bother to clean up ONCE! She seems like a sweet person, she got her big break, eventhough it was exposing the utter garbage she lived in. What intrigues me is how off are those two really (Big Eddie, mother and Little Eddie, daughter)? Are they really so insane? How did they manage to live in that house falling apart, a tree was comeing through the wall, it's branch hung as a sort of decoration I suppose. I actually liked it. Other than that, the pile of cat food cans and probably cat feces to the cieling was less attractrive. How did they live in such a smell? Why couldn't they face the world? It breaks my heart to see how much Little Eddie was guilt ridden to stay with her mother, sacrificing her own life...instead they lived in their dillusion. and at 58 she thought she was going to finally get her big break into show biz, her mother knew that she missed that one, but I suppose her mother was too selfish to push the bird out of the nest. Why or how for that matter did I come across this, living in France. ?Well my mother called me and told me that I reminded her of Little Eddie (the one with the schmatah! ), oh mother, dear sweet oblivious mother, I do not ressemble little Eddie! Though she is quite unique, I appreciate her and her style. The HBO film, starring Drew Barrymore and Jessica Lang is certainly a perfect tribute to both the original documentary and these two wonderful woman.